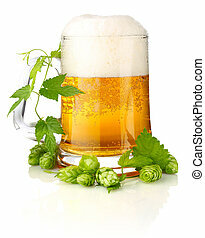 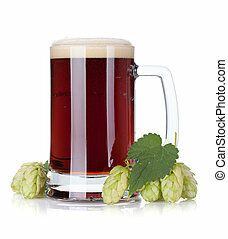 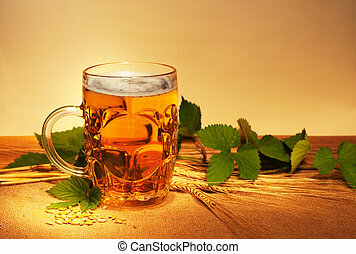 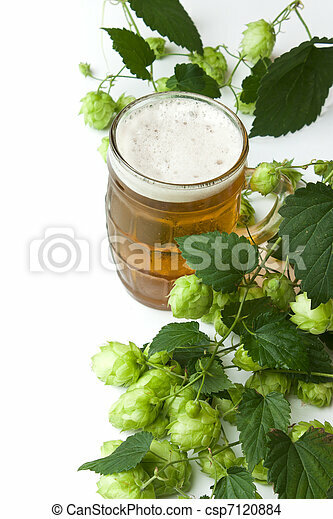 Beer and hop isolated on a white background. 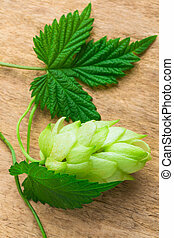 Blossoming hop with leaves on a white background. 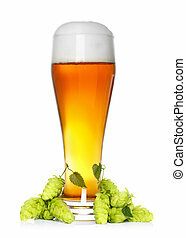 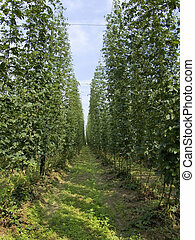 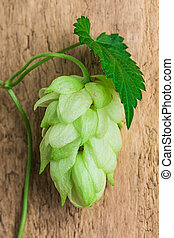 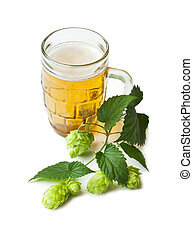 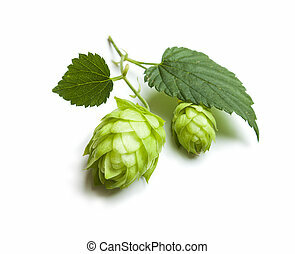 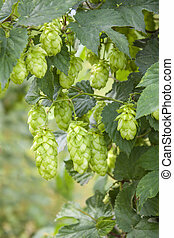 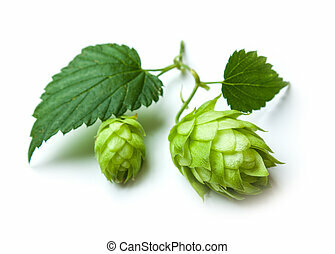 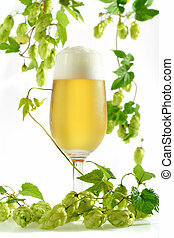 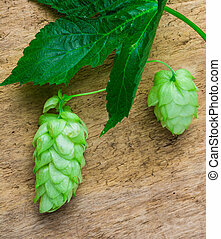 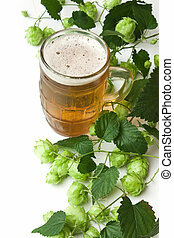 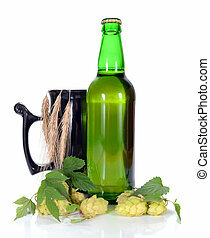 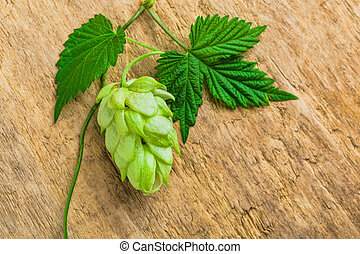 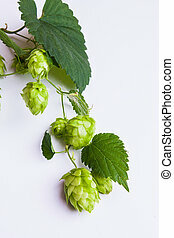 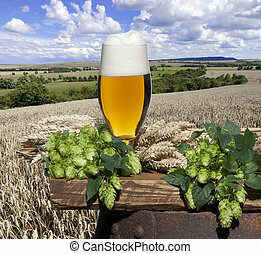 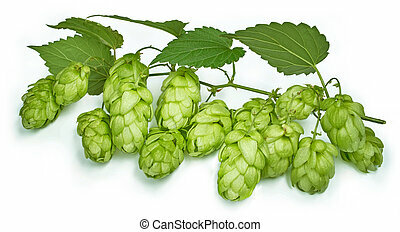 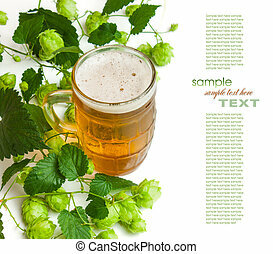 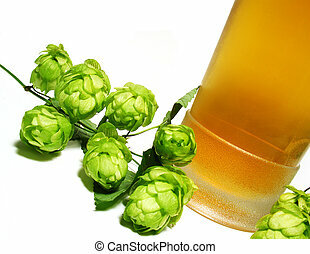 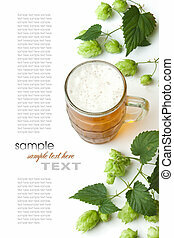 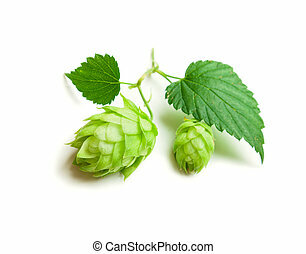 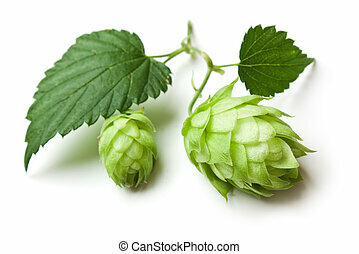 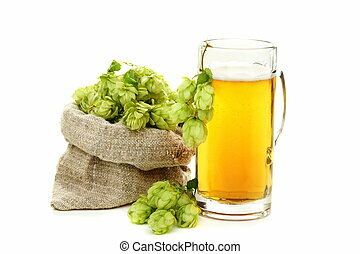 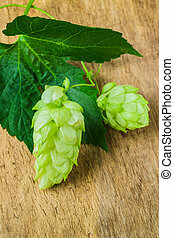 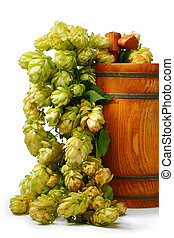 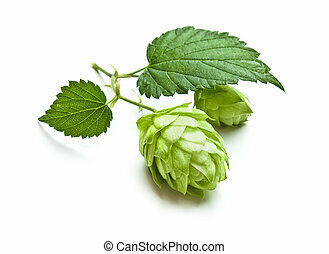 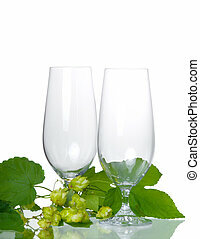 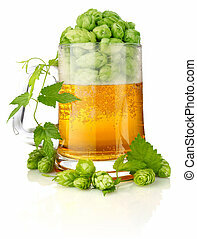 Hop cones and glass of beer on a white background.